It’s the time of year where many schools are hosting winter concerts. As music directors know, there’s a lot that goes into these events to make them a success and depending on the school, concerts may be hosted in a couple of different locations. 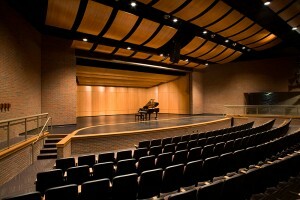 If you have an auditorium or performing arts center, that’s where your winter concerts are going to be hosted. If you don’t have a dedicated space, you’ll probably use the gymnasium or cafetorium to show off your students’ talents. Because both of these spaces are different, they will need to be treated a little bit different. In this post we’ll provide you with a few tips on hosting a winter concert for both locations. The most important tip that applies to any event you’re putting on is don’t wait until the last minute. This applies to every part of the event, but we’re going to focus on making sure you have the equipment and supplies that you’ll need. Get everything way ahead of time so that you’re not scrambling to get it a week before the event is supposed to happen. 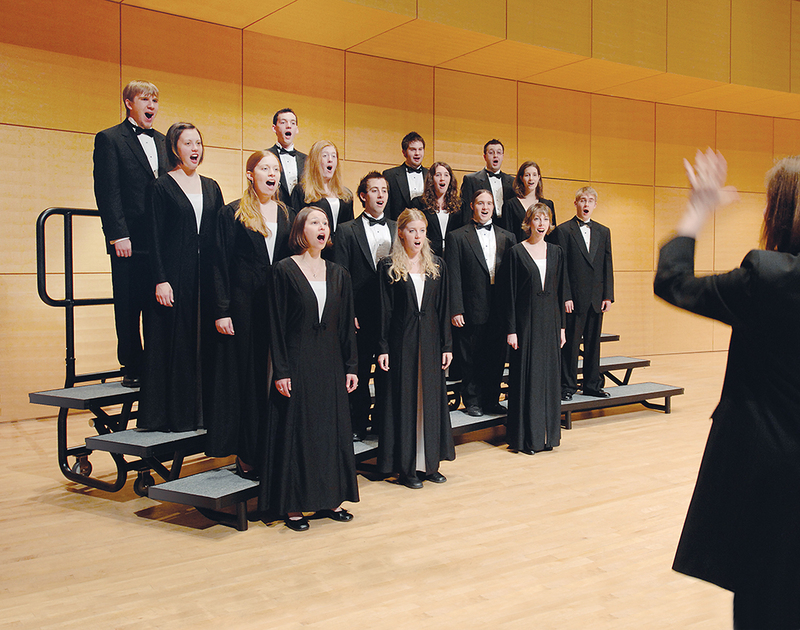 For example, having choir risers ahead of time will allow the performers to practice on it and become familiar with it before the actual event. This not only reduces the stress on the student but on yourself as you are not worrying about if the gear is going to be ready for the concert. 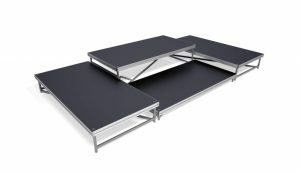 Another thing to keep in mind is the fact that large products like risers or portable stages can take a little while to get to you for various reasons like shipping schedules or customizations so chances are you won’t have it in hand 4 days after placing your order. For this application, portable equipment is a must. Whether you’re in the auditorium or gymnasium, there isn’t going to be built-in equipment. The auditorium won’t have built-in stage risers and the gymnasium won’t have a stage or risers. Make sure your portable equipment has the following features when making your selection. It needs to be easy to transport, set up, and take down. Just because something is called portable does not make it easy to move, so make sure you do your research when making your purchase decision. Versatility is important regardless of where you’re performing because chances are you’ll be using the equipment for a different event later. You need to be able to use it for more than just one event or one type of event. As a school, the same portable stage you use for concerts will probably be used at graduation too. The ultimate versatility is when the same equipment can be used both as a portable stage or as risers by rearranging your decks and support heights. This kind of versatility can save a lot of money and storage space; two things that can be limited for a school. One thing that can’t be overlooked for choir or band concerts is sound projection. This is applicable to both gymnasiums and auditoriums. The best way to project this type of performance is with a portable acoustic shell. These work by reflecting the sound in the direction of the audience. 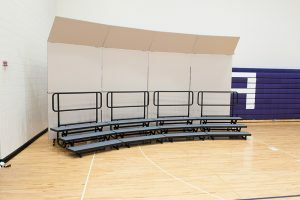 They are a must have when you’re performing in an open space such as a gymnasium as seen in the image below. When you’re in a theatre or a performing arts center, the facility may have a shell but if they do not, it is a good thing to put on your list to ensure you get the most out of the performance. We provided the shell in the image below at Eaton Middle School. It takes a lot to put on a successful performance because there are so many moving parts. For many music programs, their concerts this time of year can be the most important, so they want them to be perfect. When preparing for your performances this winter make sure you take these tips into consideration. By following them, you can ensure your events are as good as possible regardless of if you’re in an auditorium or an open space like a gym. Contact our experts and we can help you find the perfect equipment for your music program.